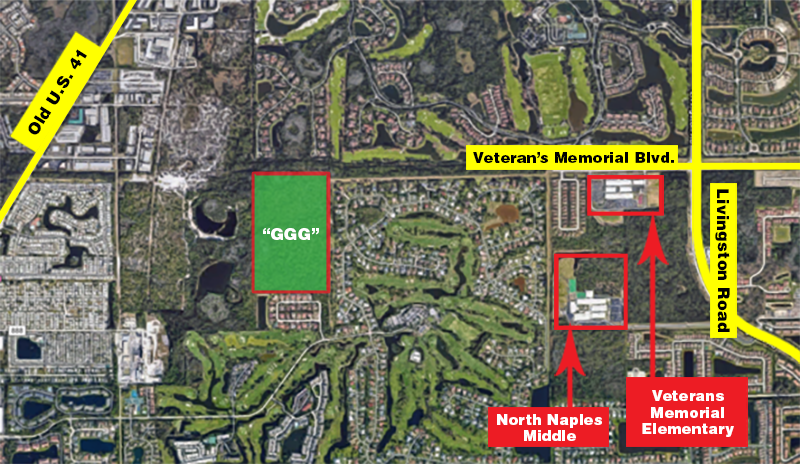 The site for High School "GGG" is located near Veterans Memorial Elementary and North Naples Middle schools. It was acquired by the School District on July 5, 2001 (17 years ago). The school has not been named. School Board Policy and Administrative Procedure 7250 will be followed for name selection.